I’ve installed/uninstalled the Alexa toolbar so many times I’ve lot count, install it because I know running the toolbar means when I visit my web sites they’ll get an Alexa traffic rank boost, then uninstall it because it adds no useful features I use. The Alexa traffic rank is based on Internet traffic to a website, more visitors a site receives higher the traffic rank, BUT it is far from accurate, it’s highly biased data and very easy to manipulate. Alexa.com do not have access to all traffic data (they aren’t Google :-)), it’s equivalent to a large survey or poll and as you know poll results can be biased based on how the poll sample is generated. 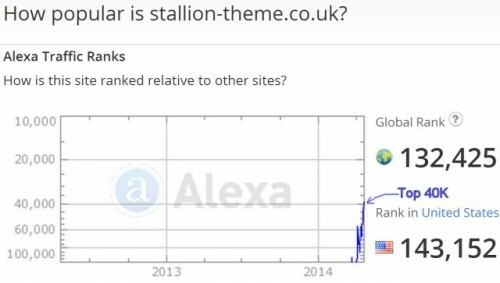 Originally Alexa traffic rank was based only on Alexa.com visits and Alexa toolbar usage data making it extremely biased towards sites webmasters visit. Pretty obvious who is going to install a toolbar that tracks traffic data, webmasters, geeks and nerds. Only reason I’ve used the Alexa toolbar is to gain an Alexa rank boost. I’m writing this Alexa article (April 2014) is because this site is relatively new and it’s Alexa traffic rank is relatively low (132,000) and until a few hours ago the toolbar was NOT installed on my computer. 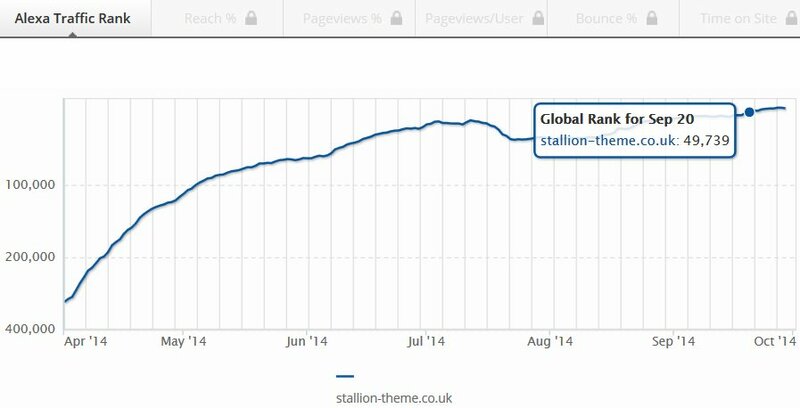 You can see from the Alexa traffic rank graph above when I started to add content to this site, was in February (2 months ago). 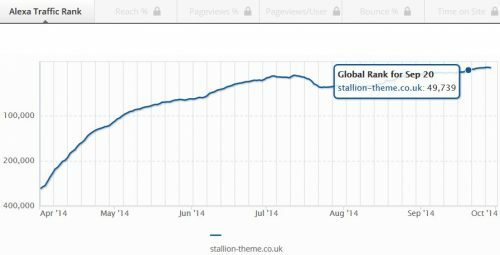 Before then the site had a few articles about the Stallion Responsive Theme, but nothing that would generate traffic. Since then have added over 100 articles and you can see it’s impact on Alexa rank. I plan to work on this site for at least several months building new content etc… so makes sense to install the Alexa toolbar as this site will gain an Alexa boost from my visits. If I stop working on my sites for a while (have had to in the past due to health issues), I’ll uninstall the toolbar until next time. Alexa.com changed their traffic rank algorithm to take into account other data sources (not a clue what they are? ), so it’s no longer just Alexa.com and toolbar data, but from my own experience it is obviously HEAVILY biased towards websites with a tech/geek/nerd niche. I have a couple of joke/humour sites that are far more popular than some of my SEO niche sites, yet I’ve had SEO niche sites with Alexa ranks in the top 50,000 on modest traffic, but the humor sites languish well outside the top 100,000 sites: one of my popular joke sites 750,000 Alexa traffic rank with 10 times the traffic of this new site with an Alexa rank of 132,000 on April 23rd 2014 (no bias there to the SEO niche!). Alexa traffic rank data is based on the past three months visits, since it’s April 23rd as I write this, this sites Alexa rank is based on data between January 23rd and April 23rd 2014. I started adding significant amounts of content to this site in February (most content is well under 6 weeks old) and it takes time for a new site to rank well, for the entire 3 months my rank is 132,000 (see image to right), but viewing the Alexa Traffic sites page for this site shows over the past few weeks there are days the traffic rank is in the top 50,000 to 100,000 (this is before I installed the Alexa toolbar, so no manipulation: top 40K most recent, today). This is on relatively modest traffic numbers (hundreds NOT thousands of unique visitors a day), this is a new site, assuming nothing goes wrong it’s probably another 6 months before I see serious Google traffic that sees this site generate thousands of visits a day, but this Alexa rank is so biased towards webmaster traffic (pretty much all my visitors, AKA you) the numbers are WAY above my far more popular joke site (which has 10+ times more traffic). You can install an Alexa toolbar for Firefox, Internet Explorer and Google Chrome. When installed it will track the websites you visit giving Alexa access to your valuable online usage data (that’s how they make their money) and giving the sites you visit an Alexa rank boost: now you can see why it’s easy to manipulate). As a website owner there’s multiple benefits to increasing a sites Alexa rank, especially webmasters in a niche like SEO where other webmasters in the same niche know Alexa rank exists. Some webmasters looking to exchange links look at your Alexa rank. Some text link ad sellers use Alexa rank as part of their link pricing structure. When selling a website some buyers will look at your Alexa traffic rank. 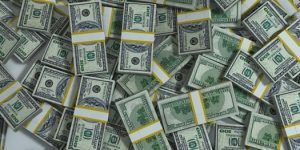 Some advertisers looking to buy banner ads or guest posts use the Alexa rank to determine popularity, they pay more for high ranking Alexa sites. Officially broken through to the Alexa top 50 thousand sites online in September 2014. Guess I’ll be seeing an increased number of reciprocal link requests when Google updates PageRank: not had a PR update this year and my domain is listed PR0 because it’s newish (guess the home page will be PR4). 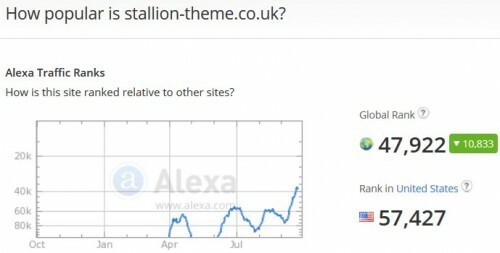 You can see my Alexa site rank is having a nice boost right now from the Alexa screenshot below. Currently breaking into the Alexa top 40,000 websites. I think the best Alexa rank I’ve had for a domain is in the 25K range, I’ve tended to spread my content thin over multiple domains (own ~130 domains), which means though my Blog Network generates a LOT of traffic overall, it doesn’t equate to a particularly high Alexa ranking for any one domain (take a top 100 Alexa site and break it’s content over 100 domains, no longer top 100). I wonder what my Alexa rank would be if all my content was on the one domain? Excellent article David – wow maintaining a 100 sites I admire you – how do you do that? One of my sites www.yourpersonalbrandname.com sits today at 73,000 and has dropped from 68,000 ish because I haven’t been adding content – my fault so must get back on it. Really want to get it under the 50,000 mark.. Took a look at your personal brand name website yourpersonalbrandname.com and assuming no Alexa traffic rank manipulation (Alexa rank is easy to manipulate) you’ve done well, similar sort of result as this sites seen : steady Alexa improvements with the odd dip. I’ve struggled with balancing branding with performance SEO in the Stallion Responsive WordPress SEO package, I don’t envy your personal branding niche if you also try to sell SEO type services, which based on a simple site search in Google (see below) you don’t. 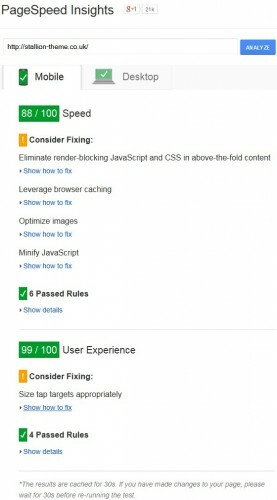 You’d have a hard time with adding interesting features (image slides etc…) without damaging performance SEO. The above searches your domain for all webpages mentioning SEO, zero use SEO as a title tag strongly suggesting you don’t really target SEO per se. My sites on the opposite spectrum, though I’ve discussed branding (mostly in comments, like this one) the SEO has taken priority (something I need to work on without damaging SEO, not easy). Because of all the flashy features you need to sell a personal branding website building service, I don’t envy you next year if Google goes the way I think it will in 2015! Your page has 29 blocking script resources and 27 blocking CSS resources. This causes a delay in rendering your page. WOW, 56 render-blocking scripts! 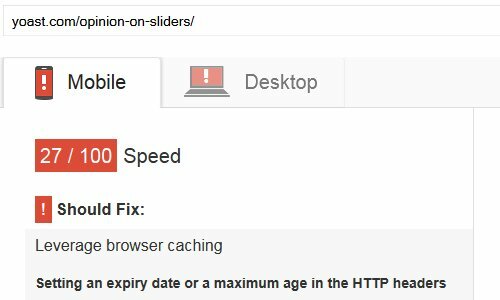 Before a mobile visitor sees your content their browser which could be on a slow 3G network has to process 56 CSS/JS files, if one of those files is delayed loading the entire webpage stops loading! This is why Google wants us to reduce render-blocking resources, so search engine users especially on mobile devices get a good experience. Remember research has shown every second a user waits for webpage to load costs the business money, they leave! Will be very interesting to see how websites with lots of flashy features react if Google starts to take performance SEO metrics more and more into account: currently it’s a small SEO metric, but as an SEO metric performance is still new and Google tends to roll out new metrics slowly to avoid the sort of mess early Panada algorithm updates caused. What Google has been doing suggests they will take performance SEO more into account, as the world moves more towards using mobile devices webmasters have to react to the restrictive nature of mobile devices (slow 3G networks…) and make our websites lightening fast and manage resources better. In September 2014 mobile was 88/100 (in May 2014 it was in the 90’s). Today (October 10th 2014) mobile is 77/100 and the pagespeed issues didn’t change, actually fixed the Optimize Images issues, so should be higher than 88/100 not lower. Google has changed the insights results to make render blocking issues more important: I have only one render-blocking issue: main CSS file which has to load before the main content otherwise it looks horrible. Yoast with Genesis can result in mobile as low as 27/100. BTW Maintaining 130ish domains isn’t hard, the difficulty is SEO promoting 100+ domains without breaking Google’s webmaster guidelines, would be very easy to turn a private blog network into a link farm (made that SEO mistake in the past).